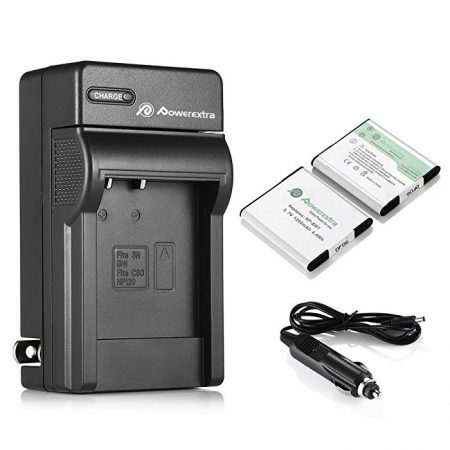 The camera battery charger has smart LCD display to indicate battery charging status. 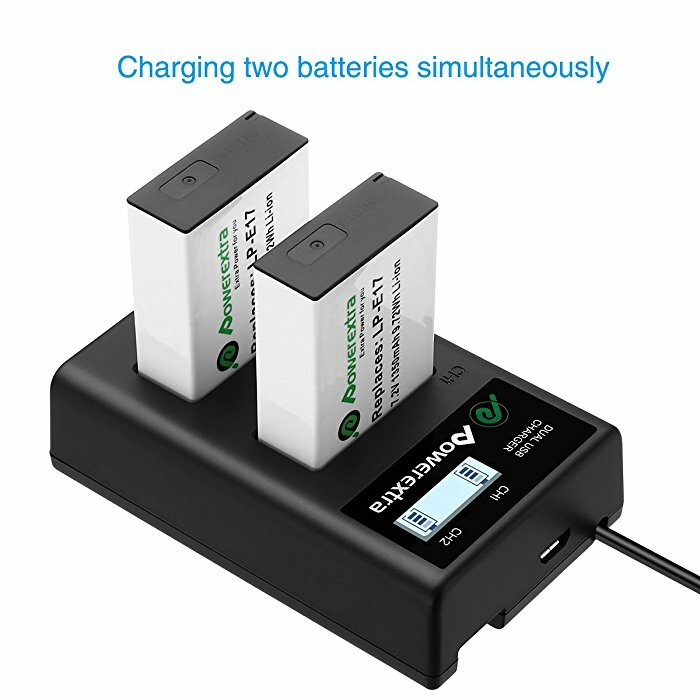 It is able to charge two batteries at the same time with 8.4V/0.8A output. 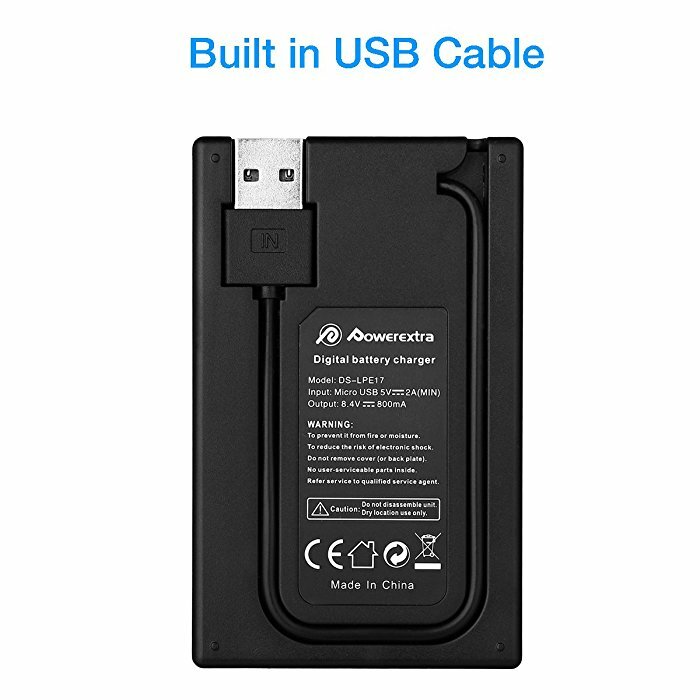 Built with an integrated USB cable, the charger provides great conveniences for you to charge batteries. 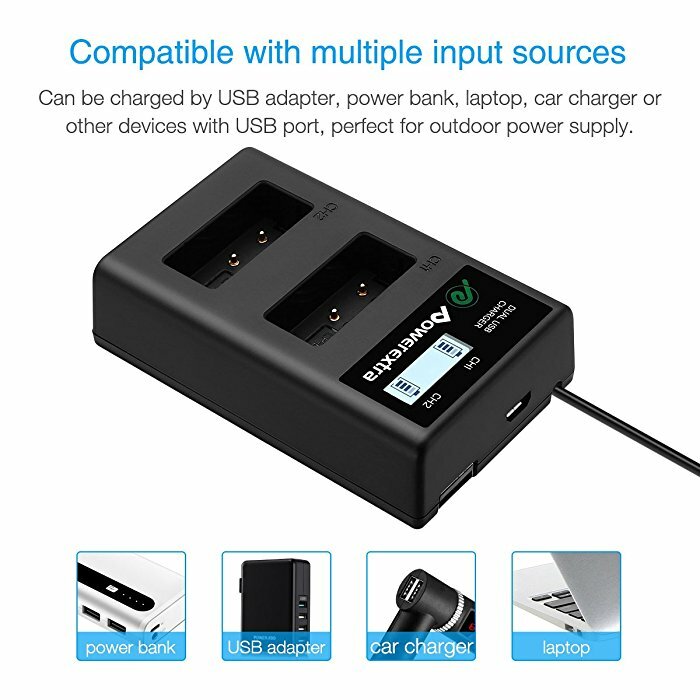 This USB-powered charger is fully compatible with Canon LP-E17 Battery and Canon EOS Rebel T6i, Rebel T6s, Rebel T7i, 750D, 760D, 8000D, Kiss X8i, 800D, 77D, 200D, EOS SL2, EOS M3, M5, M6 Cameras. 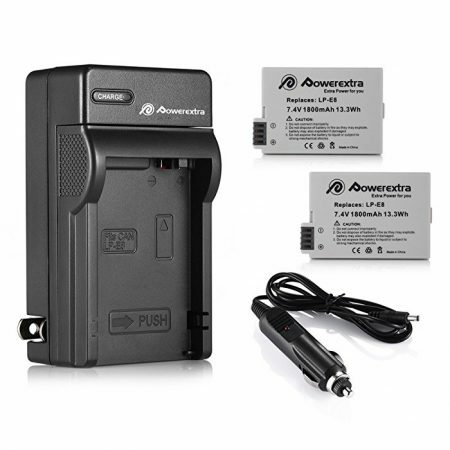 This Powerextra smart charger can charge your Canon batteries anytime anywhere conveniently. You can have longer runtime for your Canon camera. 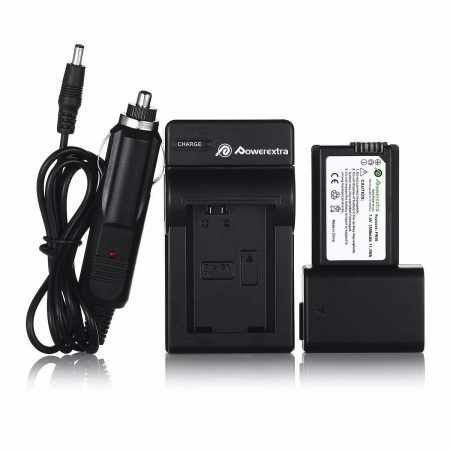 This Canon battery charger has an integrated USB cable design which enables you to connect the charger with a USB wall charger or any external battery pack easily. With this charger, you can enjoy more photography and video shooting with your Canon camera. 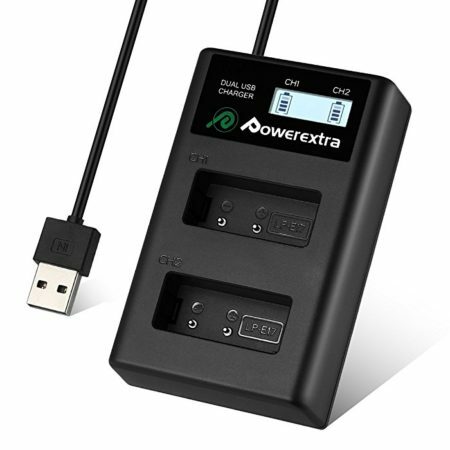 This lightweight and compact battery charger features a built-in USB charging input that’s designed to be fully integrated with this charger itself to save space and prevent damage. The charger can be charged by power bank, wall charger and other USB devices. 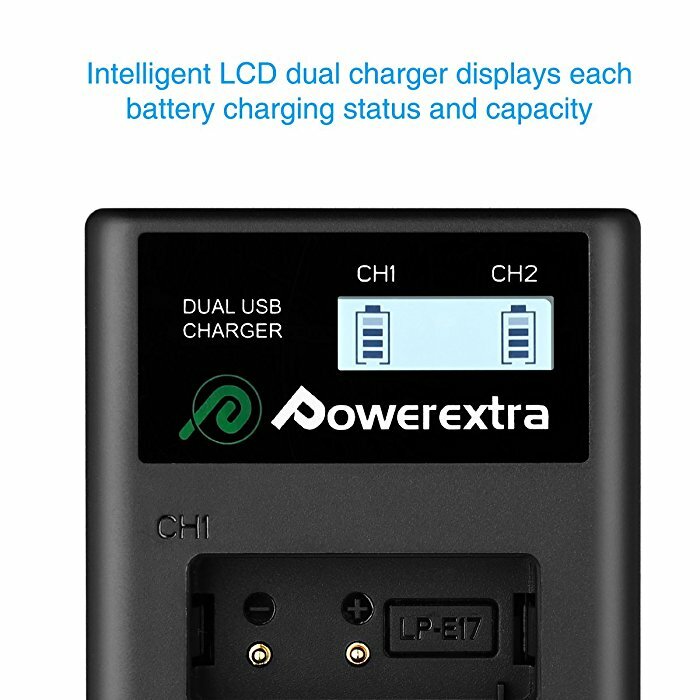 The dual chager is a modern dual battery charger with advanced features and LCD display. The LCD screen will display charging status and capacity for each battery. When the batteries are fully charged, the process will stop automatically. With 8.4V 0.8A output, it can charge 2 batteries at the same time. 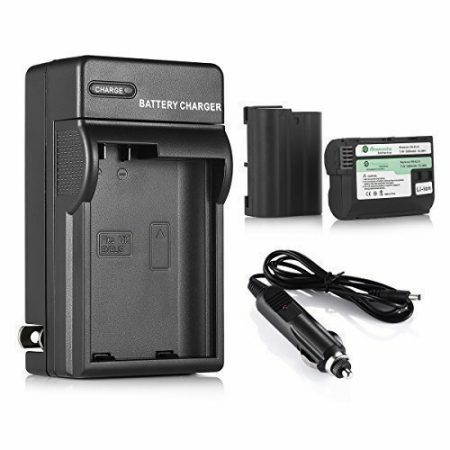 This Canon battery smart charger is designed to work for Canon LP-E17 batteries. 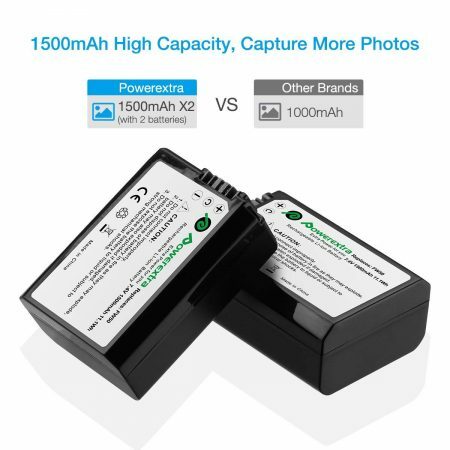 It’s widely compatible with Canon LP-E17 Battery and Canon EOS Rebel T6i, Rebel T6s, Rebel T7i, 750D, 760D, 8000D, Kiss X8i, 800D, 77D, 200D, EOS SL2, EOS M3, M5, M6 digital cameras. 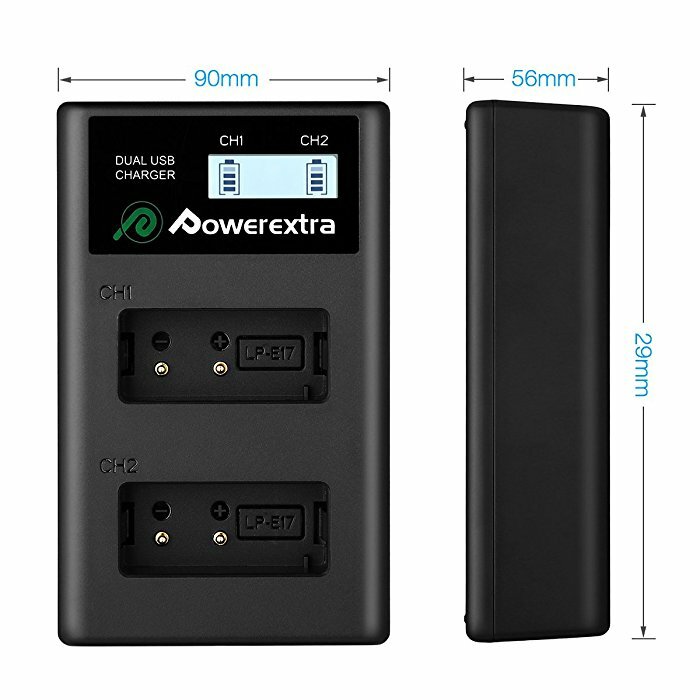 The charger has built in smart PMC (protection management circuit) to prevent overcharge, over discharge, over voltage, high temperature and short circuit for reliable performance.